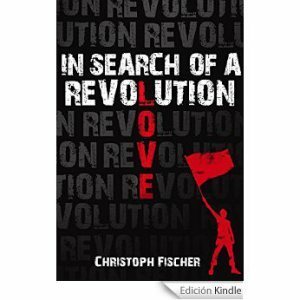 The idea for IN SEARCH OF A REVOLUTION was born when I came across an article about the Finnish Civil War. I thought that I knew about European History but this conflict was news to me. Ashamed and intrigued alike, I read up on the subject on Wikipedia and then I ordered a book about the subject. Finnish Independence from Russia was almost accidental when Russia was too preoccupied with its own Revolution. The Finnish Parliament and Army were answerable only to the Tsar. With his death came a situation of legal un-clarity. Russian soldiers and citizens, who didn’t want to return to a now Soviet Russia, remained in Finland, robbing, stealing and contributing to the lawless chaos. In response, bands of men formed as civil defence corps. In cities and industrial centres those tended to be associated with trade unions and left leaning groups, leading to a Red controlled southern Finland. In other areas those corps were of a more conservative nature and they sought the support from the (formerly Tsarist) army. Distrust was mutual: the Red Guards were suspicious of the (Tsarist Russian) army, whereas the White Guards feared a Red Revolution as had happened in Russia. When the army demanded that the Red Guards disarm, a civil war broke out. I soon learnt th at the Civil War was not the only thing I hadn’t known about the country. Disputes between Finland and Russia over territories led to a series of minor conflicts that happened around the same time as the two World Wars, although almost entirely independent from them: the Winter War, the Continuation War and the Lapland War. I hope you will enjoy the historical information within my book as much as the storyline and the characters. During this time Germany not only completed the Norwegian campaign, it also invaded Belgium, Luxemburg and the Netherlands in one swift motion. Line and Ansgar were both delighted and cheered at the event while Raisa was fuming about the situation at home and abroad. To her those celebrations were stupidity and ignorance, but she managed to keep her thoughts to herself and made Zacharias do the same. There was no point in creating more controversy and widening the gap between the camps in the apartment as they had widened in Europe. By June the Baltic countries had lost their independence and had become part of the greater Soviet Union. Line gloated about how accurate her assessment of Stalin had been. Her behaviour irritated the already somewhat worn out and disappointed Raisa. “If Stalin does anything you find it despicable but when Hitler does the same you cheer? How can you have such double standards?” she asked Line. “Oh Raisa, I’ve said it time and time again. Hitler brings employment and wealth, Stalin brings forced labour and misery. I just hope Hitler hasn’t traded Finland with Stalin for Sweden or Hungary,” Line said, ignoring the insulting tone. “Rather his military budget than Stalin’s!” Line said stubbornly. A great post for a wonderful book. Highly recommended! It occurs to me that on occasion I’m supposed to market my books and worse still promote myself. So, I shall make myself a Field Marshall which is about as promoted as I can get. That only leaves me to market the book. Probably most people would market their first book, the one that started the whole series. I want to have a word about the second book in the series which in an effort to confuse is actually a prequel. It tells the story of the newly titled Lord David before he settled at home to become the unsung hero he actually is playing his part in village life. Ansgar Christensen is another idealist in my novel. 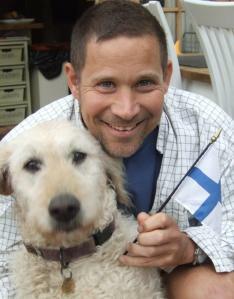 He believes in the Monarchy, which he perceives to be under serious threat from Democrats and Communists in Europe. 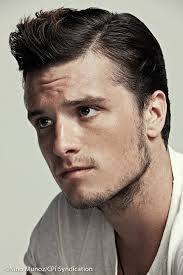 He is more cunning and streetwise but has a fondness and deep admiration for Zacharias and his goodness. As the son of a wealthy pig farmer, Ansgar once was the newbie in Zacharias’s school class where the two formed an unlikely but instant friendship, based on kindness, support and respect; later on in life what they find to have in common is a need for meaning and a higher purpose, something beyond the mundane day to day life and pure survival; even though they disagree on how this can be achieved. Their bond against the odds was one of the key inspirations for this novel and is based on an actual friendship that I formed and cherished in my youth. I still think very fondly of the person who was one of my best friends, despite our vast ideological and lifestyle differences. Ansgar finds it difficult to watch as Zacharias falls under the influence of the communist teacher, Holger Beck, but holds back taking action out of respect for his friend. Once in Finland, Ansgar allows his political work to take over his life but he cannot run from his problems forever. How far will he go? Can his friendship to Zacharias last? If ever a film version was made, I hope that Jake Gyllenhaal would play him. I recently happened to come across another great dog book, “Sam, A Shaggy Dog Story” by Sally Cronin and approached the author to come on the blog. Find my interview with her below. Here is a short review. The book this wonderful story of a dog and his life with the author’s family, told from the dog’s perspective. It doesn’t get cuter than that, and as triple dog owner I enjoyed every minute of it. Cronin does a great job at getting into ‘character’ and creating this original and lovely take at what that dog’s life might have been perceived in a humanised dog-brain. Illustrated with pictures and full of lovely anecdotes this is a beautiful piece of art that will have dog owners in stitches and tears alike. It may be difficult to get it wrong with dog books, but this one is brilliant. Enjoy! Welcome Sally. Please tell us a little about yourself as writer and as person. My writing is as varied as my choice in reading. I have a practical side that finds great satisfaction in researching and writing my health books and then there is the slightly wacky side that enjoys poetry, short stories and novels. I probably would find it difficult to sum myself up as a person, as like most of us, I am perceived differently by the various groups of people in my life. My family, friends, colleagues, or online contacts probably all see me in basic terms with add-ons according to the circumstances. My writing is an extension of that as most of my books have been aimed at one group or another. I was writing poetry and songs as a young teenager. Mainly because after several schools on different continents, speaking other languages, I was not particularly confident in writing prose in English. However, I have always been an avid reader from early childhood and most of those books were pinched from my father and were way above my pay grade. I bought my first book at 11 which was the first Wilbur Smith (I have every book that he has ever written). I wrote my first critique at 12 when I had read Nevil Shute’s On The Beach! The majority of books that I read were adult rather than for children and when I got to about fifteen I began to write short stories. Most unfortunately, in very poor handwriting that was scribbled down on scraps of paper and lost to the world forever over the years. I spent 25 years across various industries and my writing was limited to business reports and project management with a little fiction creeping in at budget time! It was only in my early 40s that I began a journal as I lost a substantive amount of weight and this later became my first book Size Matters published 15 years ago. It is now in its 5th edition as an Ebook and enjoying a new lease of life. Unfortunately obesity has only increased over the intervening years which means the book is still current. I also have written programming and interviews for radio and Internet Television as well as being a news editor. This pushed me into something that I love, whatever the form of writing, which is research. So much easier today than when I first started back in 2003 before the Internet took off, but still a wonderful part of every aspect of my writing. Every author I have ever read influenced by desire to write. My husband has always been hugely supportive and he encouraged me to get my first book published. I released it originally under a pen-name and friends and family did not know anything about it until it hit the local and national press. I think my mother was a bit scandalised with my openness but eventually she got quite a kick when further books came out. Actually I have to admit they all rather just happened. The health books were the result of my huge interest in health and nutrition and the fiction stories were rather the antidote to the more serious work I was producing. Media training and my current book a People Management Programme are related to the training that I have been involved in most of my career and offer as a freelance provider now. As I have mentioned, the first book was Size Matters especially when you weigh 330lbs. A memoir really about my journey into and out of obesity. When I was studying nutrition I took a side order in human anatomy and health. I devoured medical books and decided to combine the two subjects in a monthly newsletter called Just Food For Health. I wrote 25,000 words a month on all aspects of health and nutrition for humans and pets. I had cooked for several years in a professional capacity and this also entered into the equation. Two years later this became the second book of the same name which I used as a reference book for my nutritional clients over the years. The third book which is a romance, Just An Odd Job Girl, was inspired by rather a lot of Rioja at a dinner party back in 2003, when one of our guests found my stories working as a temp funny and suggested I write them all down. I would be delighted to see that get another go around now that it is in Ebook format so that is the cover I have chosen today. 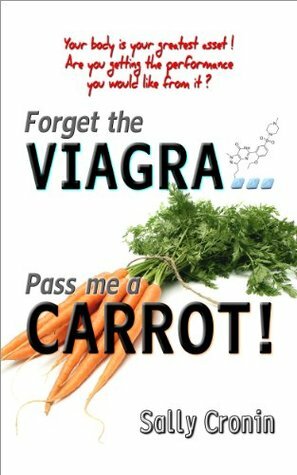 Forget the Viagra, Pass me a Carrot which is a men’s health book was the result in the increase in male clients who began to come and see me for various issues apart from weight. Many were going to their GP’s and coming away with prescriptions and in my experience men are not really into taking these for life. It made sense to write a book specifically related to men’s health issues but also to include those who love and cook for them.. It takes team work to regain health and everybody needs to be on board. Sam, A Shaggy Dog Story was inspired by our collie who was such a huge character and part of our lives when we began working from home that I just sat down with all his photographs and told his story from his perspective. I have already mentioned the Media Training Manual which was a result of my days in print advertising and broadcast media as well as an author. Having been both sides of the great divide my aim was to bridge that gap with some straightforward strategies to get work noticed locally and on a national level. Turning Back the Clock was based on a series of radio programmes that I presented back in 2004 and it is looking at taking ten years off your current age, mentally, physically and emotionally. It is the prequel to the next book due by the end of the year which is a guide to remaining in your own home through the elderly years from a nutritional and practical perspective. Aimed not just at those over 70 but as a guide for their families too. This was inspired not just by my nutritional and counselling work over the last 18 years but on my experience caring for my mother at home for six years until she died at 95. 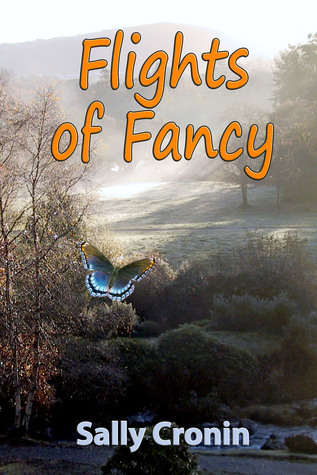 That just leaves Flights of Fancy which is my short story collection. It also contains the novella The Sewing Circle and brings together fantasy, ghosts, furry friends, a little old fashioned justice and talkative parrots. We live in the mountains of Madrid and have done for the last 16 years apart from the time I lived with my mother in the UK. I managed to work during that time until the last two years and it was a great inspiration for a lot of what I write about today. I blog daily as well as enjoy the various interactions on social media and I am outside as much as possible whenever the sun is out. People assume often that if you live in Spain that it is coastal and warm but in fact we are at 900 metres and only 30 minutes from the ski slopes. In the winter our nights can drop to minus 10 degrees although being Alpine we have stunning cold but sunny days when you can burn. Apart from walking, I swim daily from June to October and rather neglect my writing. We have some wonderful friends locally from all over Europe including Italy and Russia as well as Spain of course. We entertain frequently and I love cooking for lots of people especially when it ends up with dancing into the night. 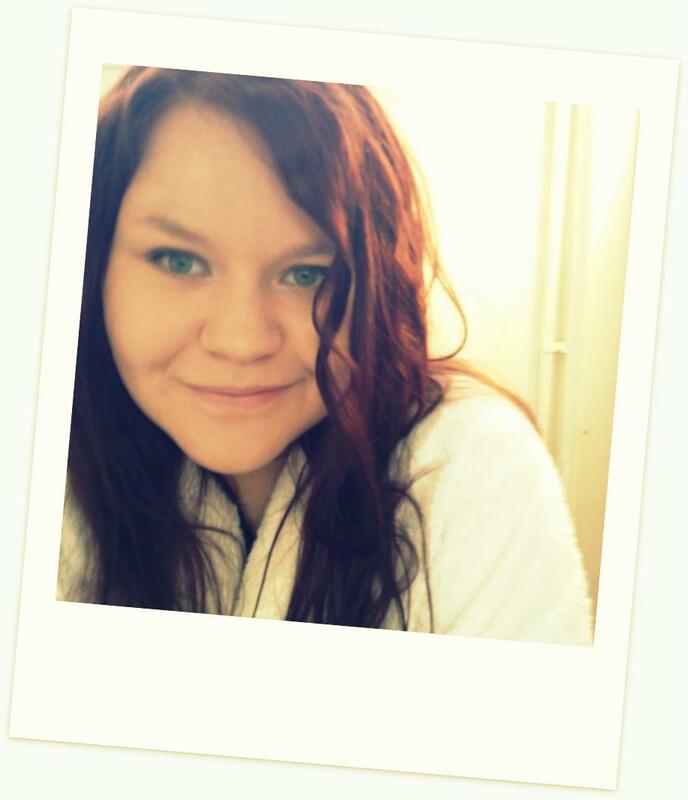 I actually wanted to be an actress, singer and stand-up comic when I was in my teens. I have done some of all of that over the years but there are times when I do hanker for a good old fashioned comedy spot. I love Mrs Brown’s Boys with its ribald and in your face humour (my husband is Irish and I have a fair bit of the green stuff in my veins too). I am not keen on really crude humour but love people like Billy Connolly when he is in full flow on his observations about life and people. Dawn French, Julie Walters and Joanne Lumley are definitely up there. Who knows when we return to the UK in the next year or so I might get myself a job as a red coat at Butlins or similar. You are never too old for humour. Tough question. I like a table that has enough in common to be happy in each other’s company and individual enough to stand out and entertain. In Ireland there is a tradition that guests around the dinner table should all stand up and do a party piece and it is something we have introduced here. This means that I would ask Billy Crystal (loved his Oscar presentations), Ella Fitzgerald (wonderful voice and I assume I can have past and present), Wilbur Smith (his early books were mind blowing and he can still turn out a great book) Eric Morecombe (my father loved him and looked a little like him) Cole Porter (so that Ella could perform some of his work) and Michael Parkinson as I think he would get the best out of everyone. 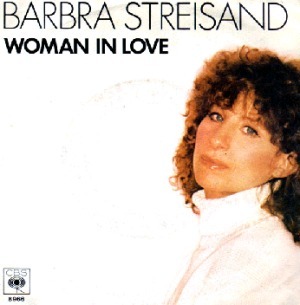 Since I have chosen Just an Odd Job Girl as my featured book and it is based in the 60s onwards, a song that I loved from 1969, ‘Where do you go to my lovely’ by Peter Sarstedt. The People Management Programme which I wrote 30 years ago and adapted for every company I have worked for since is in final edit and should be released in the next month. The book on elderly care will be ready by the end of the year. Our visitor in the last week, who is a superb guitarist, has re-strung my own neglected instrument and I am going to start playing again after 25 years. I want to write more songs even if it is only for my own pleasure. I suspect that after all this time it might not bring pleasure to anyone else! I write books that I hope are interesting or amusing for others. I love to talk and writing is an extension of that and if people buy the books and enjoy them that is a huge joy for me. Blogging is the instant gratification part of the writing process and I get a huge kick out of people’s comments. I intend to slide disgracefully through the pearly gates with a laptop under one arm and a glass of Rioja in the other. Hopefully when I am about 120 and I promise to send back reports. Raisa is a Finnish nurse who befriends Zacharias during the Civil War. Estranged from her family and traumatised by unwelcome sexual advances in her past, she finds in him a gentle soul worthy of her affections. Although he doesn’t return her feelings, he takes up her offer of accommodation and friendship. When Ansgar arrives and also comes to live with them, the dynamics change. Raisa has ideological leanings but the force that really drives her isn’t political, it’s a relentless desire to help others: her selflessness finds good outlets in both men. Lacking confidence and a happy family life she tries to create a homely environment for the three of them but war and politics throw several spanners in the works for her. Raisa’s character is based on a few people that I have encountered throughout my life: good natured and helpful to a fault, great catalysts and enablers for other people, while missing out on their own life. Can such a life be enough or will extreme self-denial eventually catch up with her?Is conventional happiness the only source of fulfilment? Her story has been the most difficult one to write because she doesn’t always do herself a favour with her choices and as her ‘friend’ I wanted her to make different decisions but as writer I had to let her do what she wanted to do. Will she find happiness and who will it be with? Will she learn to put her interests first? In a film I would like Lauren Ambrose from “Six Feet Under” to play her part. I know it is risky to write a book about a man with communist leanings and so I hasten to let you all know that my book was not written with any political intentions whatsoever. Opinions and statements in the book are those of the characters, not my own. I chose the location for this book out of an interest in the complex and fascinating history of Finland in the first half of the 20th century. That demanded characters with political leanings. I tried to make all people in the book likeable to show the benign intentions of idealists – even though attempts to implement those ideals into a rigid system of (blind) ideology are not always of a benign nature. 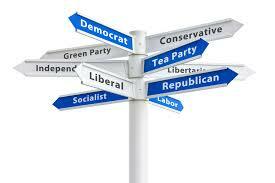 In my youth I was very interested in party politics but I lost my sense of belonging to any affiliation a long time ago. I still can feel strongly about specific causes and ideals but find they often are in conflict with other things that I also believe in and I usually end up in total contradiction which I think is symptomatic for all ideologies and rigid systems. In my opinion, most ideologies – including even Communism – were developed with good intentions and a view to better life for everyone. At their core they usually have very good ideas and honourable ideals. The problems arise when they are abused for the purpose of power or revenge, when they suppress freedom and self-determination and are forced upon people, often without any foundation in realism. With this is mind I hope you can enjoy the novel for what it is: a story about human nature and some flawed characters on their search for identity and their own path in life. Join them on their journey through three decades of inner and outer conflicts. 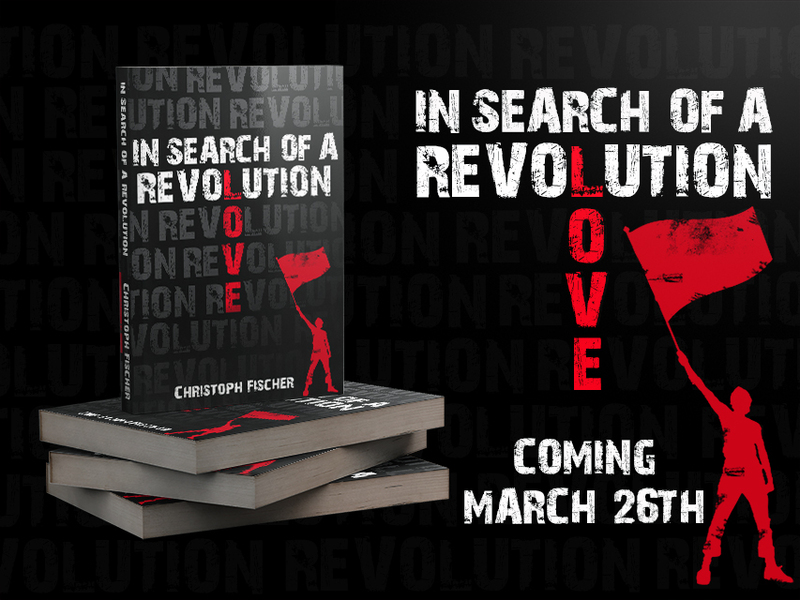 Zacharias Nielsen is the likeable if somewhat naïve hero of my book IN SEARCH OF A REVOLUTION. The excitable son of a strict bureaucrat and a weak mother falls prey to a charismatic teacher, Holger Beck, with communist leanings. 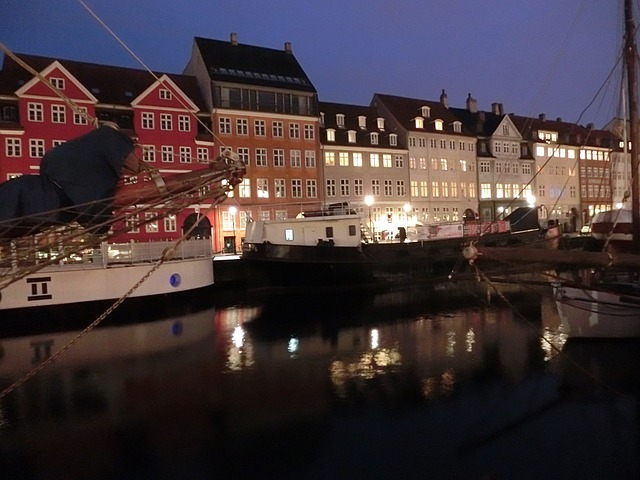 Persuaded that he is doing the right thing for the greater good of all, Zacharias leaves Copenhagen to join his red comrades in the Civil War in Finland. He soon finds that the conflict is much more complex than he had thought and wakes up to the harsh reality of brutal war and a political landscape that isn’t what he was told it would be. Once removed from his mentor’s influence, Zacharias needs to figure out what to do with his life in the new forming Finnish Nation. The book chronicles his journey through the tumultuous and changeable events that follow, politically and personally. Will he change his mind about Communism? What keeps him in Finland and how will he get to live his dreams and aspirations? To me, Zacharias represents the good natured idealist that is prepared to put his money and rifle where his mouth is. He has benign intentions and truly believes in making the world a better place, especially as he joins comrades that are defending themselves rather than attacking. But, every dreamer needs to wake up to reality at some point. As wars and political developments keep challenging his beliefs, his private life becomes just as complicated. His friend and supporter, Raisa, tries to stop him from running and encourages him to take stock of his needs. In many ways Zacharias’s struggle reflects my own ambiguous relationship with political ideas and realism. More on that subject in my next blog post on Idealism. 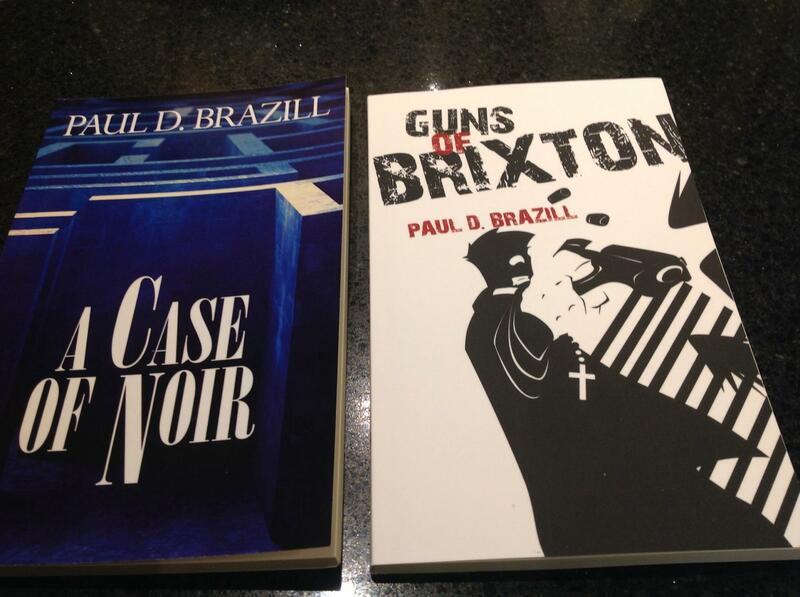 I’m pleased to introduce you to Paul D Brazil today, who has a great blog, a fantastic sense of humour and quite a large selection of rather popular books. Paul, tell us a little about yourself as writer and as person. I was born in England and now live in Poland. I’ve been TEFL teaching for more than a decade and still seem to be getting away with it. I’m the author of A Case Of Noir, Guns Of Brixton , The Neon Boneyard and a few other tasty snacks that you can find here. My writing has quite shockingly been translated into Italian, Finnish, German and Slovene. I’ve had stories published in various magazines and anthologies, including The Mammoth Book Of Best British Crime– alongside the likes of Lee Child, Ian Rankin and Neil Gaiman. I also edited the anthologies Exiles: An Outsider Anthology & True Brit Grit (with Luca Veste). You can usually find me faffing around at Twitter and Facebook, as well as other such rum joints. The first time was in the ‘90s. I attended a screenwriting course at The London School Of Business and wrote a screenplay called Rain City Moon. Scala Films asked to have a look at it so I sent it to them. They never got back to me and I lost interest! I didn’t do anything else until 2008 after I discovered the online fiction sites 6Sentences, Powder Burn Flash, Beat To A Pulp, A Twist Of Noir, Thrillers, Killers n Chillers, and a few more. I liked what I saw and decided to give it a go. I didn’t decide, really, it just seemed natural. I’ve a darkly comic view of the world and like darkly comic writing. I teach English to business people and university professors and life with my partner Daria and 2 year old son Dorian. Mel Brooks, the Coen Brothers, Damon Runyon, Kate Laity, Tony Hancock- the easiest comedian to mime. Oh, no one. I hate it when people interrupt my eating. Well, The Clash with Guns Of Brixton and anything by Tom Waits for the other books. 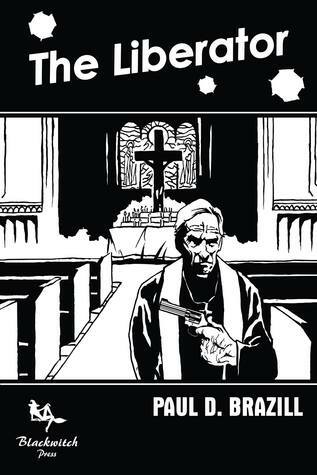 A seaside noir/ pulp called Kill Me Quick! Another comic caper, called Cold London Blues. Rewrites of Holidays In The Sun. An athmospheric, short but compelling dark thriller about a catholic father on a rescue mission. The writing is very strong and the condensed style makes this a very intense and powerful read. 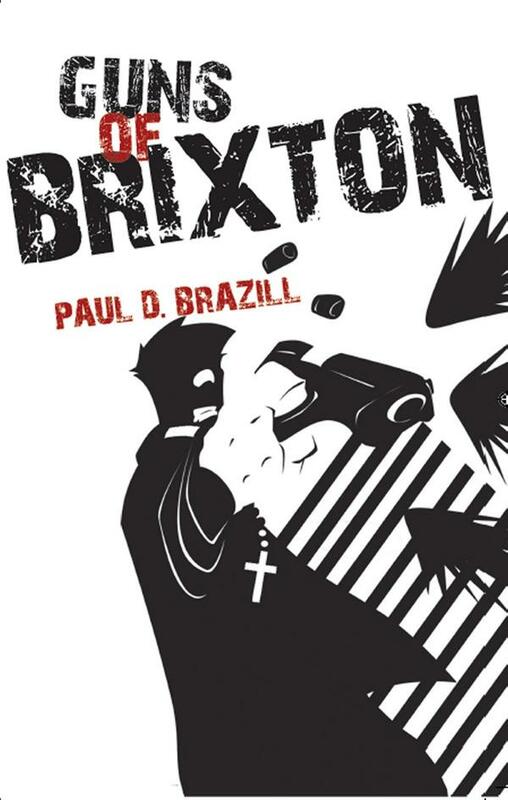 Brazill does not ‘take preisoners’ when it comes to the plot and by adding some paranormal elements to it you certainly get your money’s worth in this first instalment of a series.